In a normal knee, lying between the thigh and shin bones are two cartilage pads. These act as shock-absorbers. There is one on the inner and one on the outer aspect of the knee. 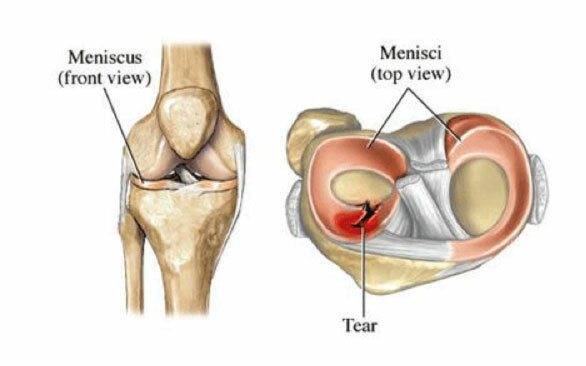 Following injuries, these shock-absorbers (cartilages) can tear, leading to pain and clicking in the knee. To relieve symptoms it is necessary to trim the torn area of cartilage as shown in the pictures. This is done by daycase keyhole surgery. 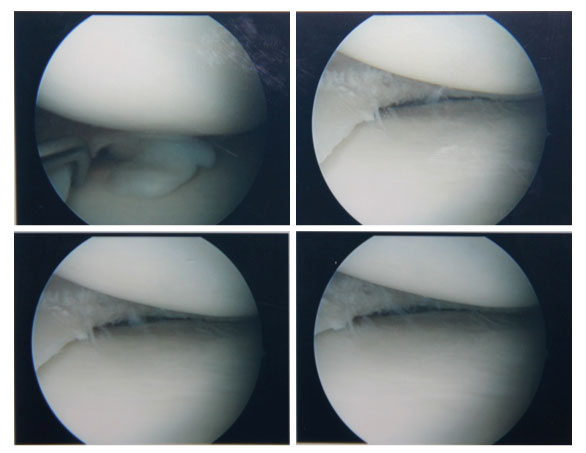 Actual operative images showing a torn cartilage and how it appears after it has been trimmed.